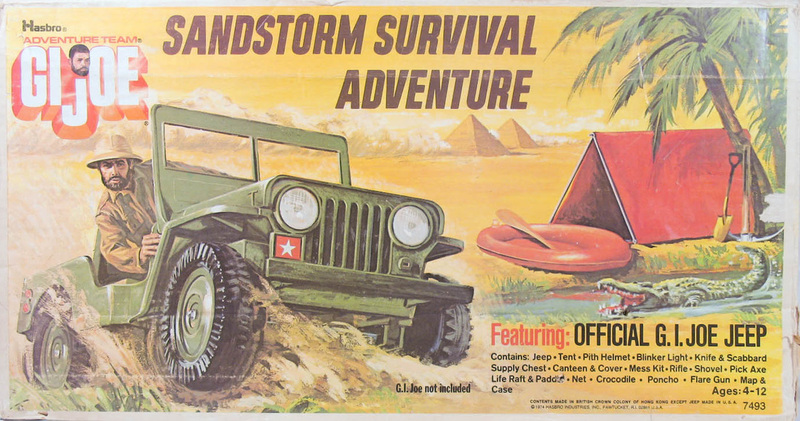 Sandstorm Survival Adventure (7493) was essentially a re-release if 1971's Desert Patrol Adventure with a few changes. The biggest of these is that the formerly tan desert jeep has reverted to a classic olive drab color, a slightly darker shade than the earlier Combat Jeep and has been simplified. This later jeep has a different tailgate closure. Gone are the push rods to secure the gate, now plastic tabs are molded on the gate edges. The headlights are now just reflective silver stickers rather than the earlier molded lenses. There is no spare tire. The windshield glass is also gone. 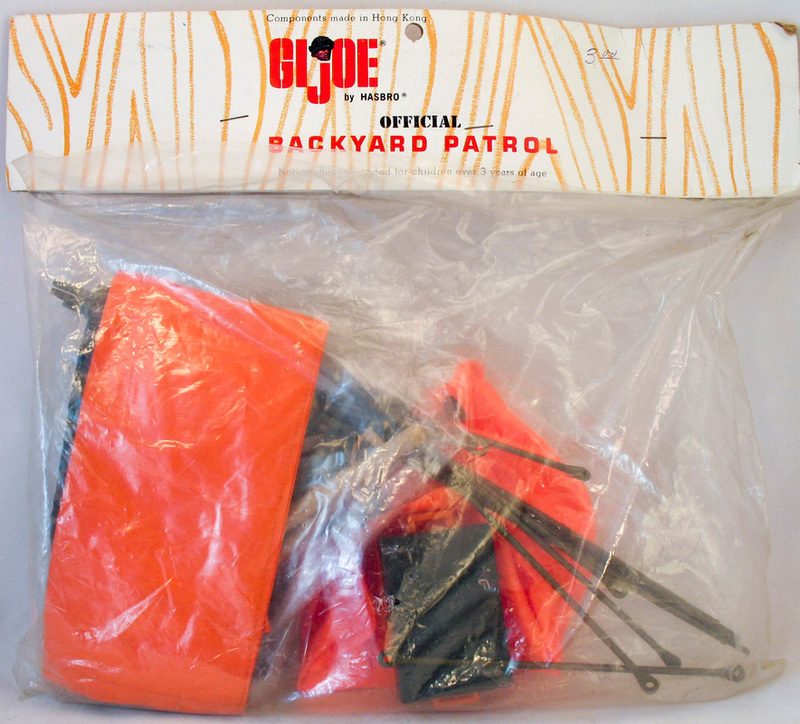 The tent for the set also changed to the plastic pole type from the earlier metal pole version. The set also discarded the movie camera and fire. 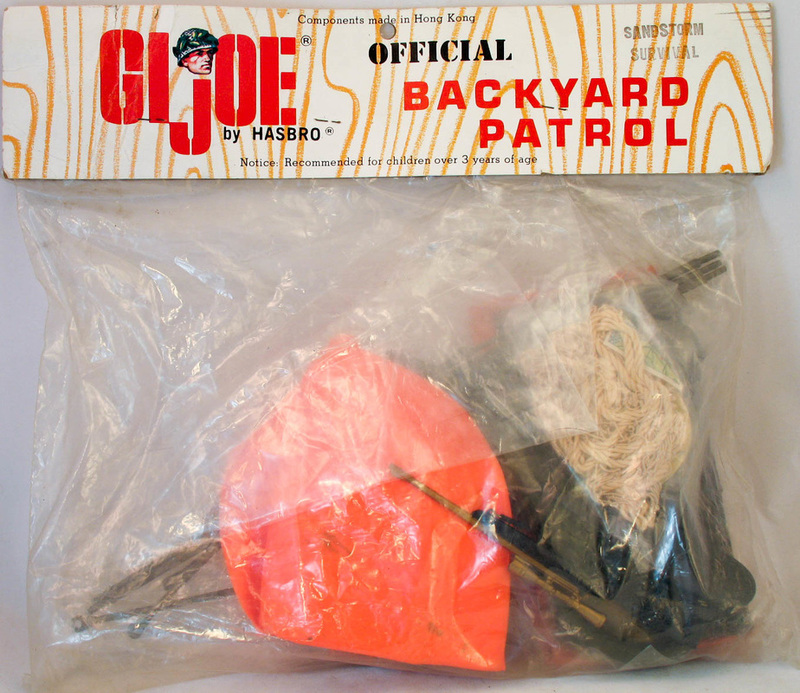 Overstock of the accessories for the set were later released in bags with a header card under the "Backyard Patrol" label.